At Telford Turbos we offer an exchange service by post if in stock. If not we can turn the job around in 24 hours and post back. 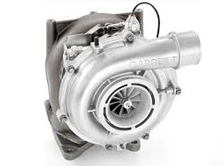 We have fully trained staff that can diagnose the fault with your vehicle’s turbo and offer a service of replacing your turbo when it malfunctions.